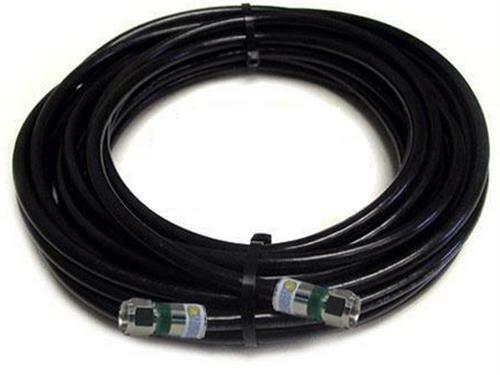 How can a coaxial cable give you true HD? If you listen to the cable company, it can’t. But they’ve been known to be wrong. If you’re a cable customer you’ve probably been told recently that every TV in your house needs a cable box. The old way of sending cable TV over coax, so it would “just hook up” to your supposedly cable-ready TV, is going away forever, thanks to an FCC decision last year. If you’ve been using “basic cable” on your TV you’ll have to use a box from now on. Those boxes have a coaxial cable connection out to go to your TV, and the output is strictly standard definition. So that raises the question, how can you get HD reception from an antenna if it uses that same connection? Don’t you need HDMI or something else to get true HD? The answer boils down to… over-the-air antenna isn’t the same as cable. Over-the-air antenna signals are designed to go through coaxial cable into your TV’s antenna input. There’s no need to use an HDMI cable or anything like that with your antenna. You’ll need an HDMI cable to connect a cable box, streaming box, or something like that… but not for an antenna. There your good-old-fashioned coax comes to the rescue and it does it perfectly. The little secret that the cable and satellite companies don’t want you to know… is that you can absolutely run HD programming over a cable, anytime you want. The reason it’s not done has more to do with copy protection and less to do with technology. If you could connect up your TV or DVR with a coax cable, then you’d also be able to make perfect digital copies of your programs like you can with over the air programming. Obviously the broadcasters don’t want you to do that.